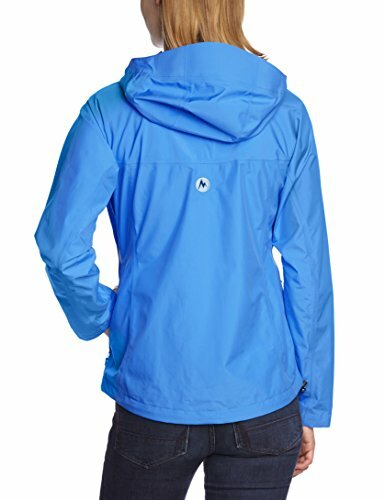 » Marmot Minimalist Review: Does the Minimalist Jacket Keep You Dry? 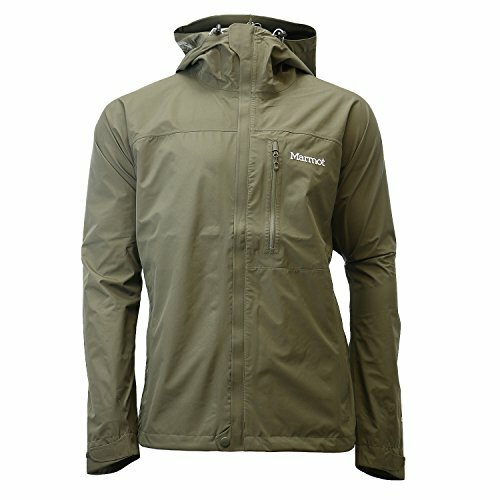 Marmot Minimalist Review: Does the Minimalist Jacket Keep You Dry? If you’ve been an outdoor enthusiast for any length of time you probably know how miserable it is to get caught in a rainstorm unexpectedly, just to find that your rain jacket wasn’t exactly as waterproof as you anticipated. Getting soaked isn’t only unpleasant but can even be dangerous if you are far from home and without a change of dry clothes.Does the Marmot Minimalist Jacket Keep You Dry? Thankfully there is one amazing jacket on the market that is reasonably priced and truly waterproof. Marmot’s Minimalist is a beautifully designed piece of outerwear that is able to stand up to some of the harshest stormy weather while keeping you toasty and dry inside. 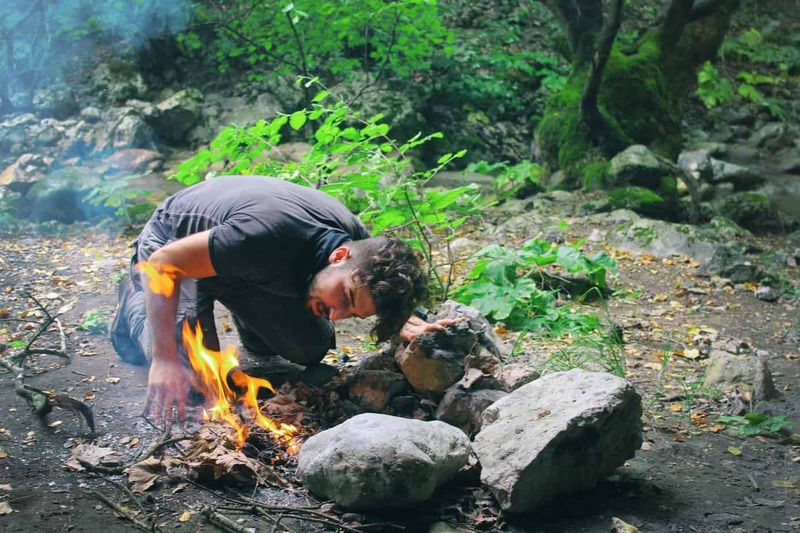 If you are already familiar with Marmot it comes as no surprise that this innovative brand is responsible for this great jacket. Here is a breakdown of what you can expect with this jacket as well as who it may most be suitable for. Before getting into a complete rundown of the details, you should know that the Minimalist is available for men and women. Although the men’s jacket is much more popular (simply because men are often more into outdoor pursuits), the women’s jacket is pretty much identical except for sizing and color options. Fit is considered “Regular Fit” with a back length of 28” and average weight of 15 oz. Fit is considered “Regular Fit” with a back length of 27.25” and average weight of 14.4 oz. The Minimalist may not have a ton of features but as the name suggests, this jacket is supposed to be simple. It does exactly what it needs to which is keep the water out. Let’s look into some reasons why this jacket is so highly rated as well as things to look out for if you are considering buying it. The major selling point of the Minimalist is how water-resistant it is. There are plenty of cheaper rain shells out there but few are able to withstand as much as this jacket. Some customers have pushed the waterproof claims to the limit by standing out in severe storms and brutally heavy downpour, one video even showing someone wearing it under a small waterfall, with excellent results. 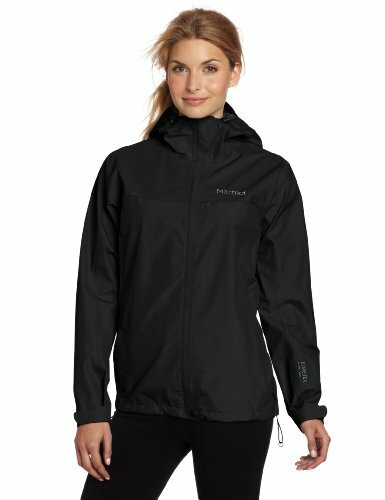 The combination of polyester and Gore-Tex Paclite make this jacket perfect for storm season. Marmot went the extra step by also fully taping the seams and designing this jacket with no seams on the shoulder. All pockets on this jacket have water-resistant zipper, while the front zipper also has an additional laminated storm flap. This flap also helps to keep out the chill if there is wind. Rain and snow is further kept away with the adjustable hood, bottom hem and cuffs. The hood can easily cinch down around your face and the DriClime chin guard helps to protect your face from the weather. The bottom hem is elastic drawstring so you can prevent wind from a rain storm from blowing upwards. Finally, the cuffs have hook-and-loops closures to prevent rain or snow from blowing up your sleeves. Even though this jacket is insanely water-resistant, it still would be a good idea to keep your phone in a waterproof case or protect it some way if you plan to have it in your pocket during extremely wet weather. The Minimalist is overall very comfortable and easy to wear. Being so lightweight it is ideal for layering in cooler weather and the fit of it is loose enough that you can wear thin layers under it. Even though it is very lightweight it is surprisingly warm and can comfortably be worn in snowy conditions. It would make an excellent snow sport jacket as taking a tumble in snow isn’t going to leave you soaked. The zippered underarms are a great feature for staying cool and particularly useful in muggy weather. Marmot designed the Minimalist with Angel-Wing movement and a longer back hem to keep you covered while moving around or bending over. This jacket is definitely not restrictive but also not too loose (if you pick the right size). When it comes to durability this jacket also performs very well. While you wouldn’t want to go extreme alpine climbing in this jacket it will hold up to a lot of regular use and doesn’t need to be babied. It truly is a performance jacket that can handle some abuse. However, there are some who find durability to be a concern- which will be explained below. 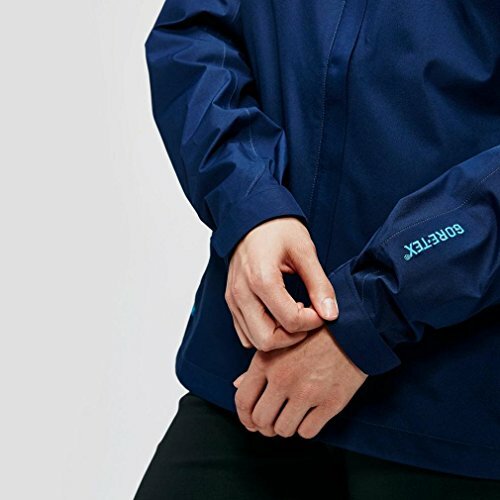 If you look into poor rated reviews of this jacket you will find one common issue, which also happens to be this jacket’s biggest advantage: water resistance. It’s difficult to say whether the issue is a quality control problem with Marmot or whether it was customer error but there is a trend with low reviews citing that the jacket lost its “waterproofness” after a short time. This is unusual because far more reviews cite how amazing this jacket has stood up to heavy rains, sleet, snow, etc. There are specific instructions on properly washing and drying that need to be followed to keep this jacket working properly. Although it is a very durable jacket you can’t just throw it into the washing and dryer with your other clothes. There is really no way to tell if the customers who’ve had problems with fading water-resistance didn’t follow the instructions or if they happen to get a bad jacket. It is something to keep in mind. Marmot does have a great return policy and a lifetime warranty so if you happen to experience this problem it’s very likely they will work with you on a replacement. Despite some bad reviews, this jacket still has many overwhelmingly praises as to how tough and impressive it is as a rain shell. If you’re in the market for your first high-end performance rain jacket or tired of having to cut adventures short because your current jacket leaves you soaked, look into the Minimalist. As with most pieces of outdoor gear, it’s a good idea to take a look at Marmot’s sizing guide before purchasing as proper fit is very important which this model.